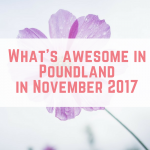 Poundland have really upped their game this month and there are some fantastic things in store! Straight as I walked into the store there were these assorted biscuits and other Christmas treats – not failing to mention the £1 Milk Trays! 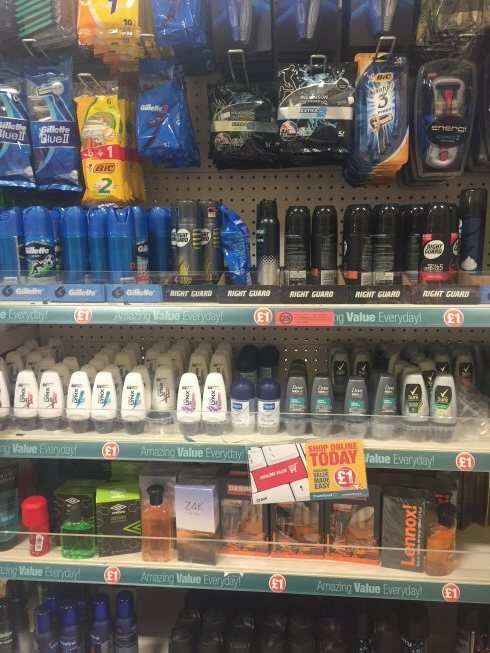 There is still a great selection of men's branded toiletries at a bargain price. For example, the Gillette Blue II razors are £2.95 at Boots. These Chewit bath and shower gels smell so divine! I am a sucker for funky smelling shower gels, so the strawberry one has already been purchased! Also available in orange and fruit salad. 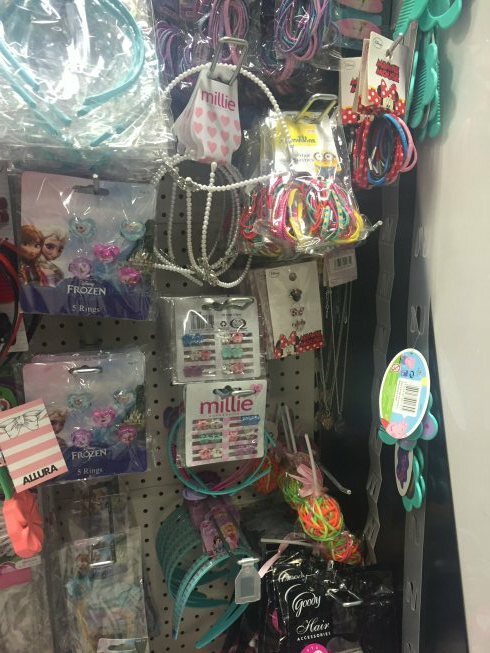 These Disney hair wraps are so fun – with Minnie Mouse, Ariel and Disney Princesses. There is also a range of Star Wars toiletries. 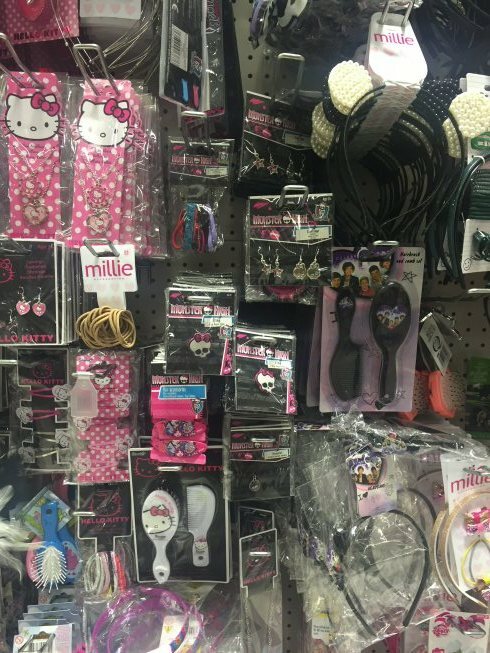 My favourite section was well stocked, with Hello Kitty items, Monster High and even One Direction. 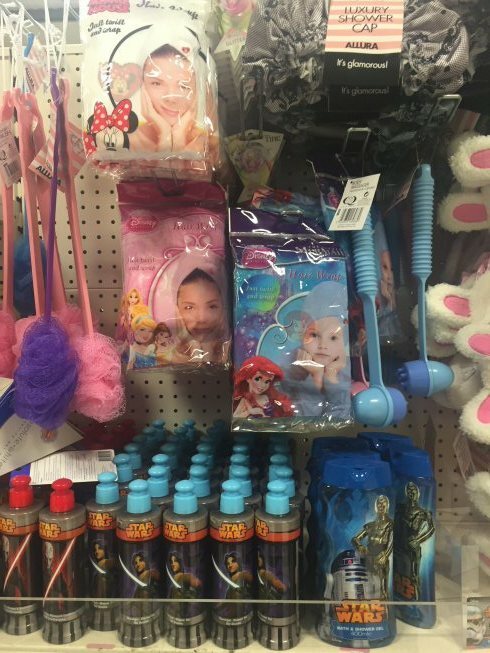 More of my favourite section, with Frozen items. 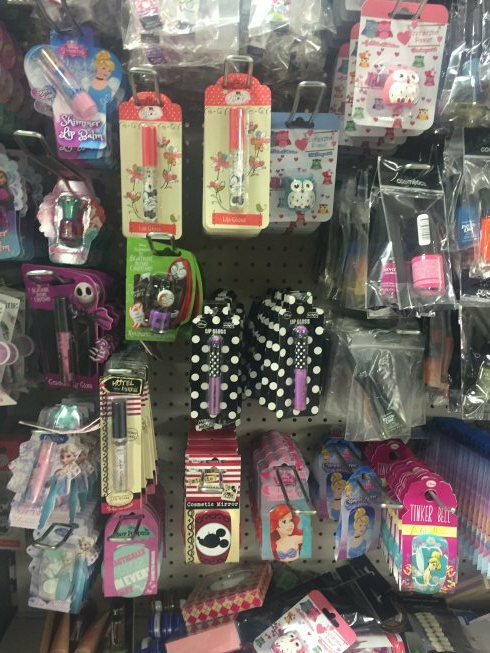 There is also lots of Disney branded make up items and the mirrors that I love. 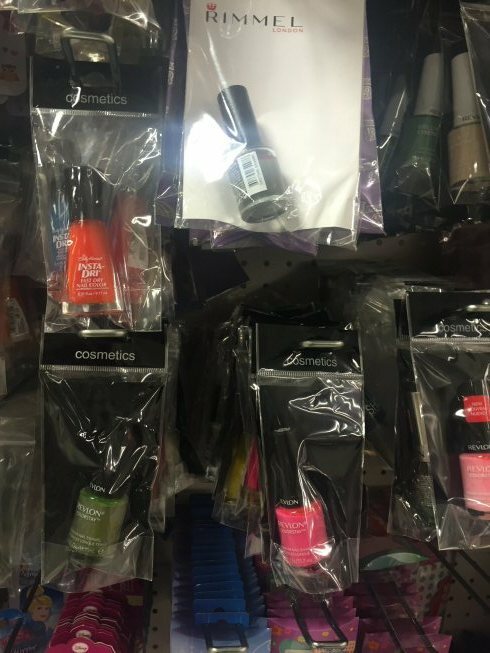 This Revlon colorstay nail polish is £7.99 at Superdrug, and there were loads of colours to choose from. 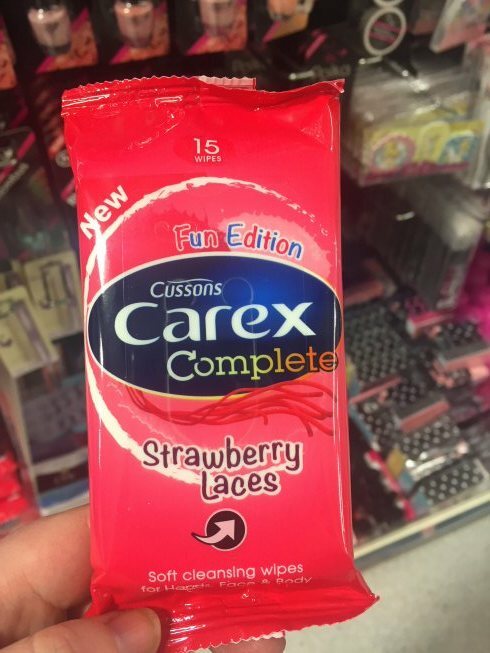 I wish I had bought these, strawberry laces flavoured scented wipes. 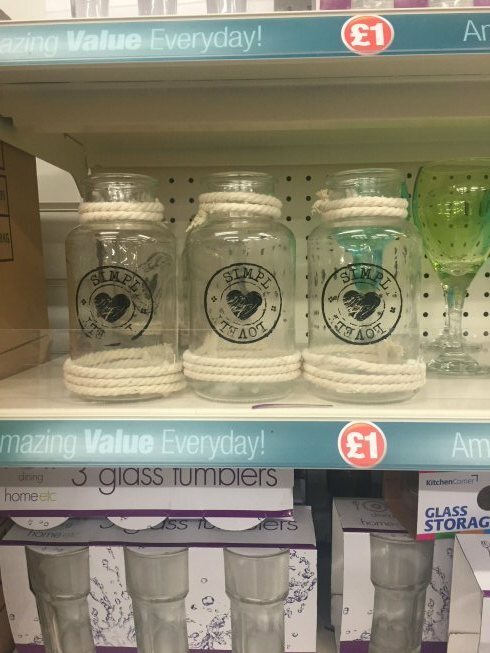 These glass jars were awesome – you could probably only place a tea light in them, or use them for storing brushes or as a vase! 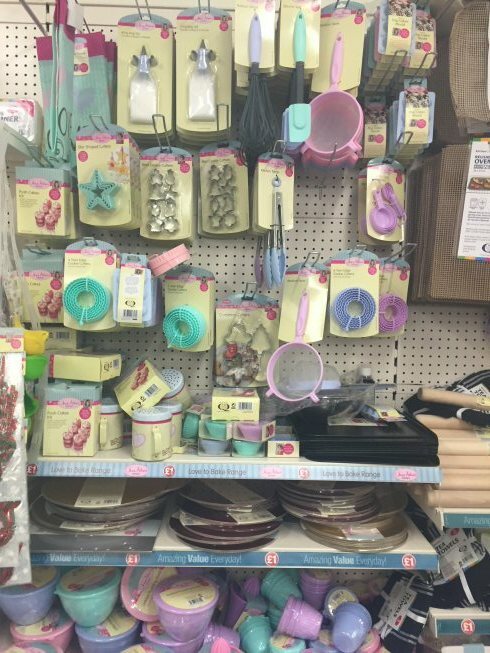 The Jane Asher bakeware section has expanded to include some Christmas items, from red and gold cake boards to Christmas cookie cutters. As part of the Jane Asher range there are these amazing carry cases with snap on lids. 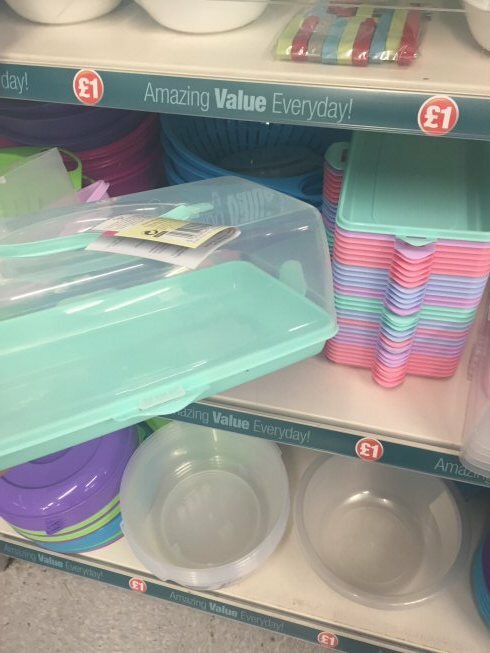 They're pretty roomy and come in all sorts of pastel colours – my dream! 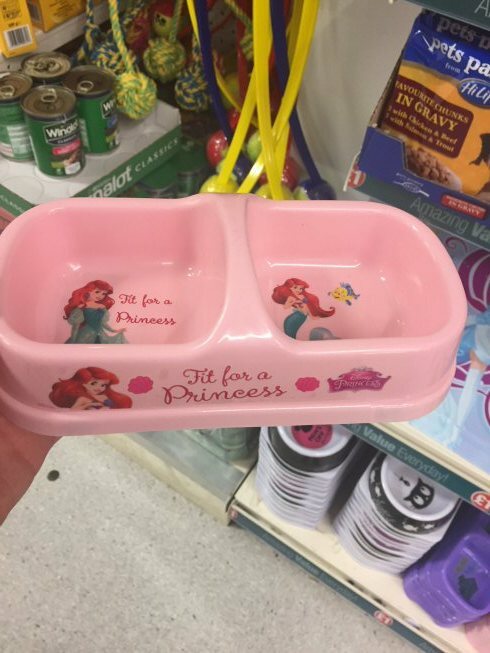 Every pet needs this The Little Mermaid feeding bowl…right? Tabs and Alaska love theirs as we can share their food evenly, and of course, they are princesses. 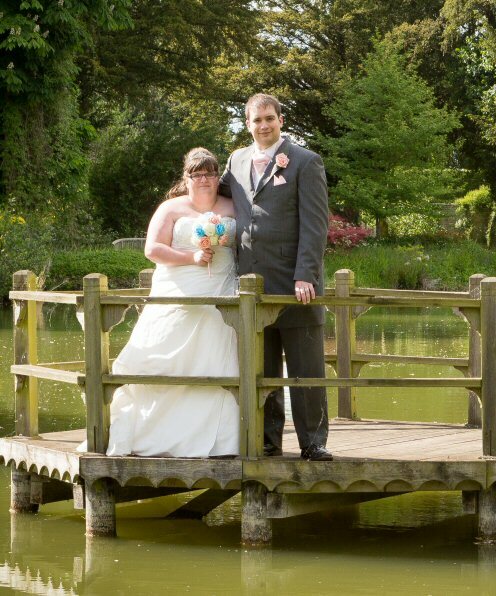 I have been looking everywhere for table runners for Christmas, but I haven't been able to find any without my budget. 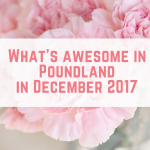 These gold ones from Poundland are perfect for our Christmas colour scheme! Snow spray is also another great buy, as it gets so expensive in December! 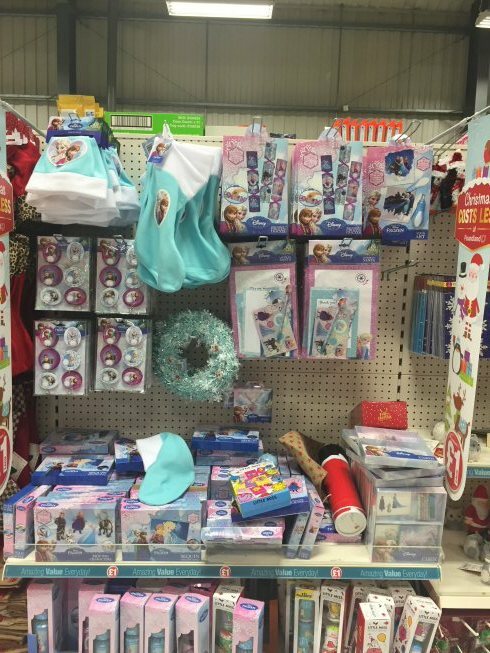 And now for the holy grail of Frozen items…Frozen Christmas items. 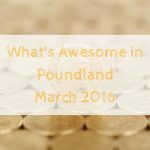 There are so many amazing things here that I don't know where to start! 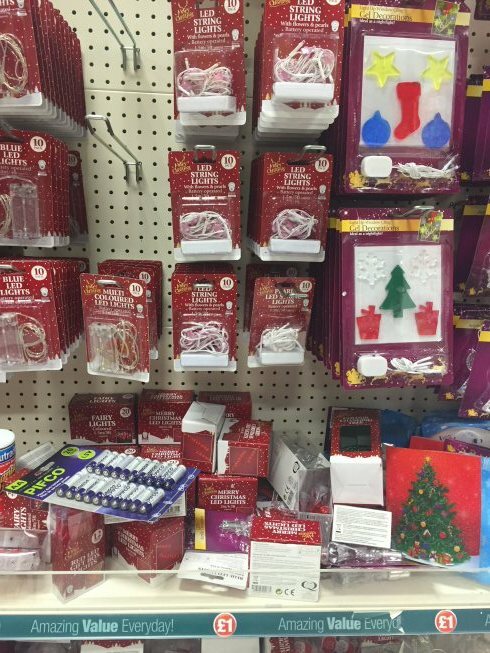 My favourites are the “make your own Frozen Christmas crackers” and the Frozen Christmas wreath. 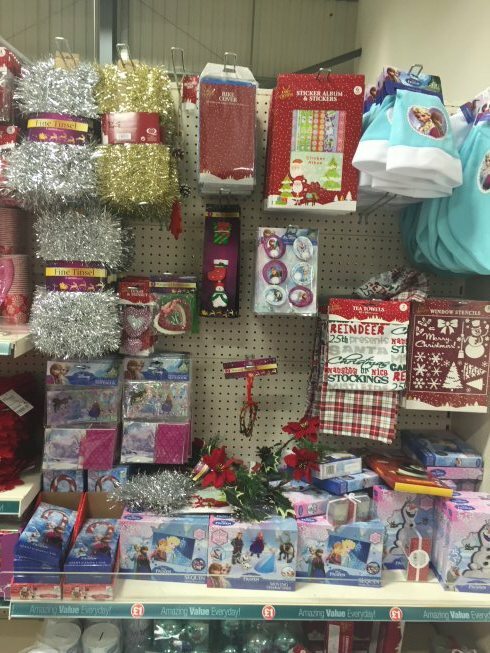 Even more Frozen Christmas items. I absolutely did buy a “DIY Olaf” for…Reasons. 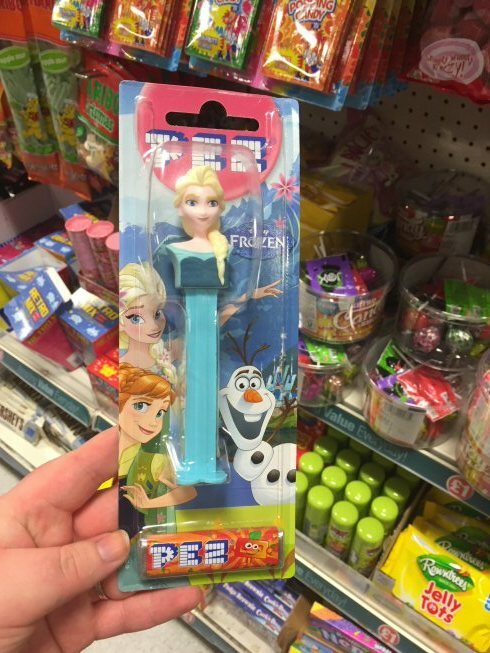 I can't believe there are Anna and Elsa Pez dispensers for just £1! These chalk board gift tags deserve a special mention, they are amazing and such great quality. In each pack you get 12 and chalk. 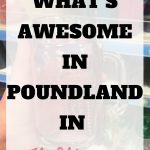 All your Christmas LED lights can be found at Poundland! 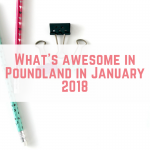 Have you spotted anything awesome in Poundland this month? 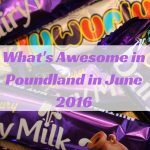 Have you come across poundworld? Sadly we don’t have one locally, but there’s one a few towns over. And they have a great Christmas selection. Our local poundworld has christmas plates out too, but they aren’t half as nice IMO.